So, get that holiday playlist ready to roll on repeat and draft that email invite for your besties, because we’re throwing a holiday cookie party unlike any other - filled with sweet treats and a beer pairing to boot! 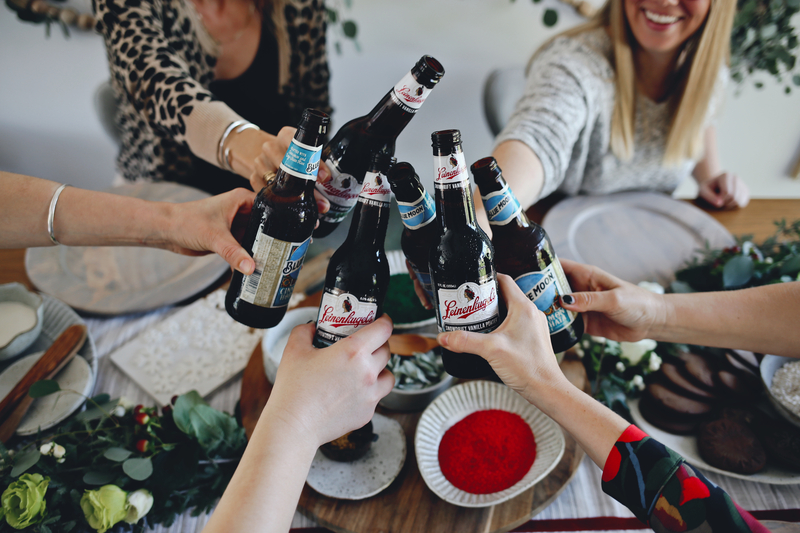 Here are five easy steps sure to spark creativity in any host this holiday - Cheers to entertaining in new style this season! 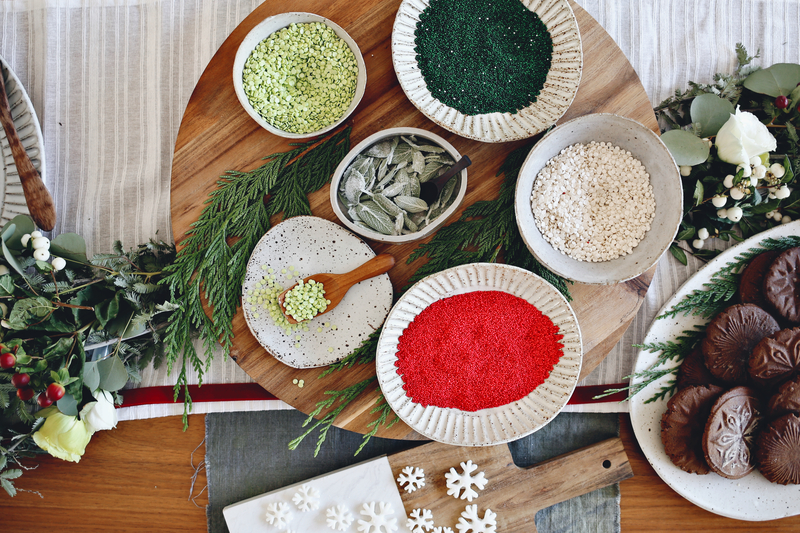 For this festive friend hang, we’re inspired by simple Scandinavian design and giving a nod to winter solstice style. 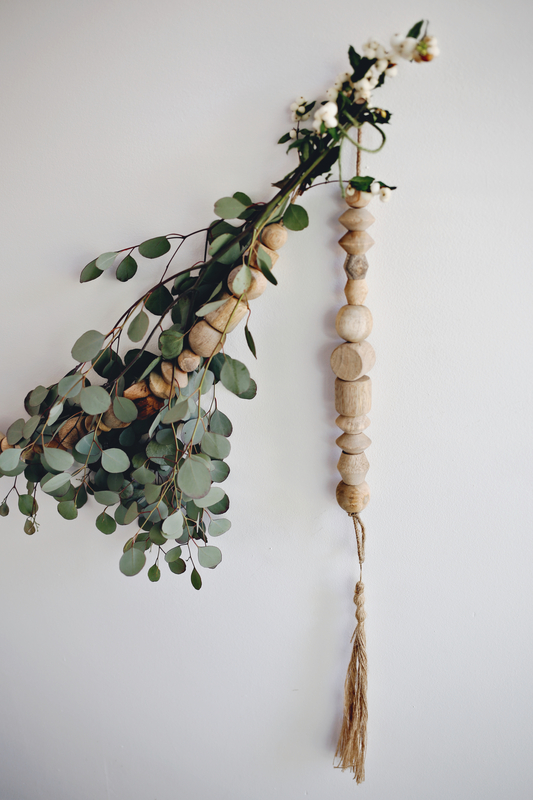 To get this look, try stringing up wooden bead garland accented with fresh eucalyptus branches. Or for a fun play on the textile weaving trend, try looping chunky wool yarn around a wooden dowel and tucking in a few fresh sprigs of pine. Most importantly, get that table set with a living garland that is a mix and match of evergreens and fresh flowers. Just make sure that your bloom stems are tucked into a floral tube filled with water for long lasting lushness! 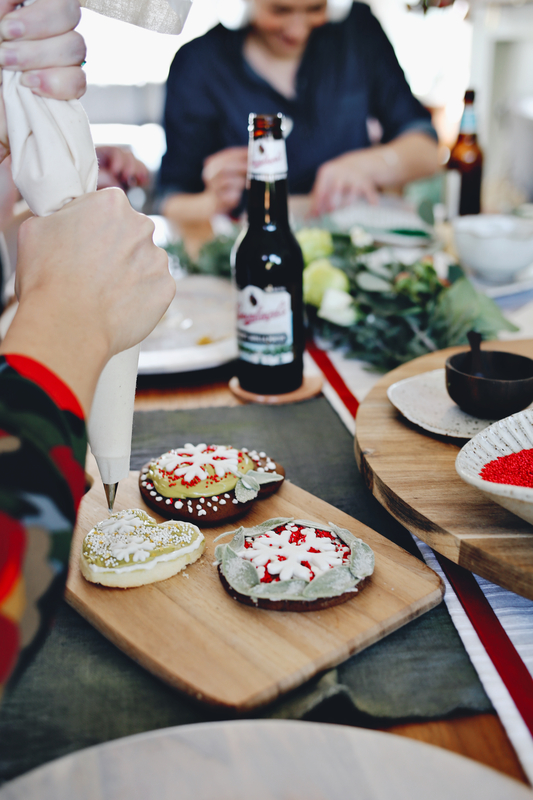 Get your friends in on the action by having them decorate their own cookies. Make the activity more manageable by baking and mixing up frosting the night before. This way you have more time to enjoy your company and get in on the sprinkle action as well! 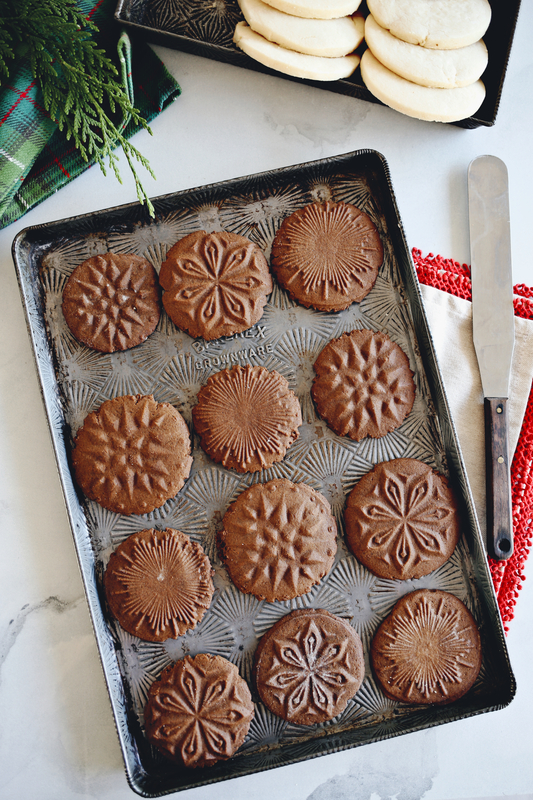 Think beyond the classic gingerbread shapes and try punching out hearts or using a Nordic snowflake cookie stamp, which both look gorgeous when presented on a large platter. Give everyone plenty of options when it comes to putting their personal touch on the sugar cookies. Bowls of different sprinkles, icing and even fondant snowflakes are fabulous touches that can be passed around the table with ease. We even made some candied sage to weave the evergreen theme into the cookies themselves! Most importantly, just have fun and get creative with your decorating selections. A mix and match of speckled handmade white ceramics brighten up the table and give it a modern winter wonderland look. 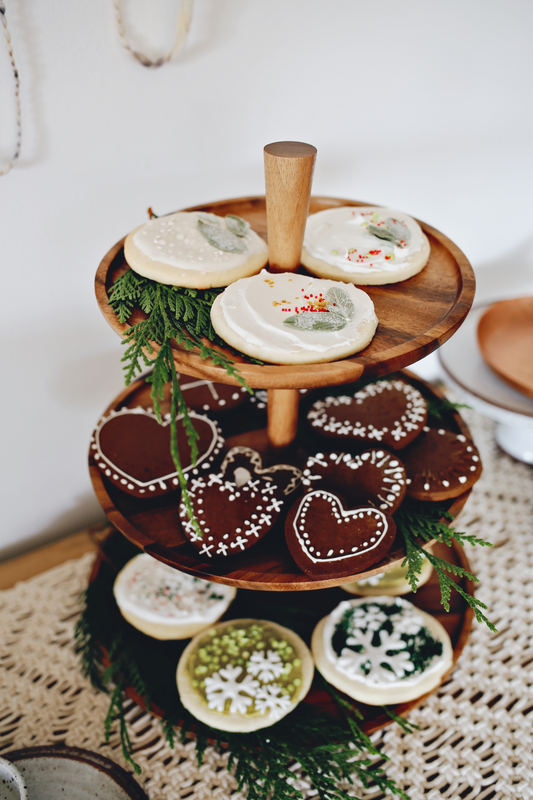 Each place setting is set up with a wooden charger, which gives a pretty workstation for your cookie decorators, not to mention a chic way to control the mess (ie: rouge sprinkles). 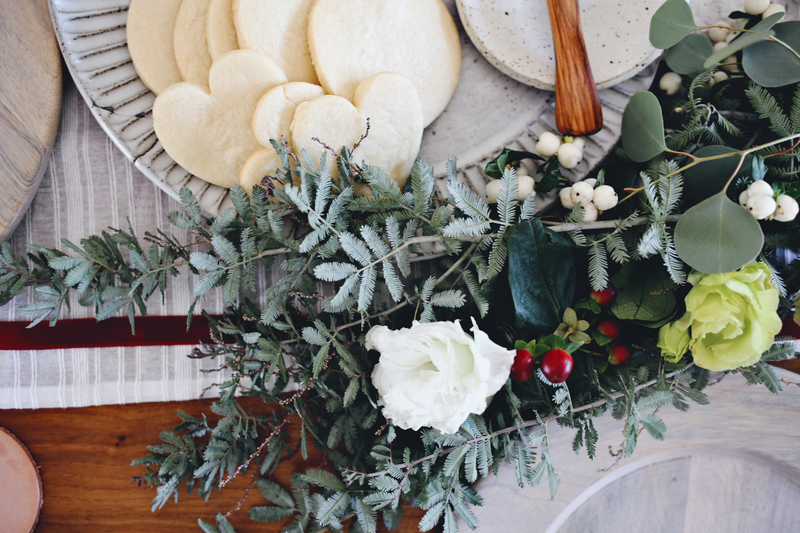 A large wooden lazy susan provides easy access to all the goodies, while a living botanical garland acts as a lush runner adorned with winter berries and blooms. 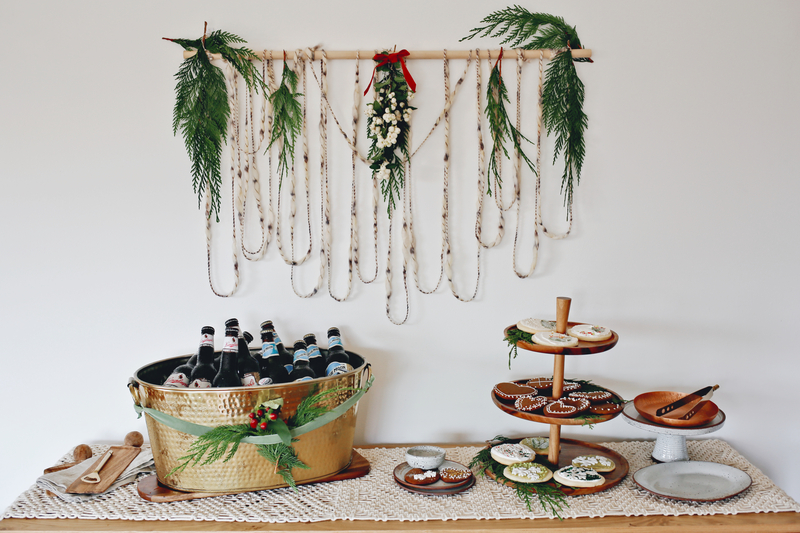 Once our cookies are ready to enjoy, let’s move the gathering around a chic beer pairing station dotted with copper accents and woven details. 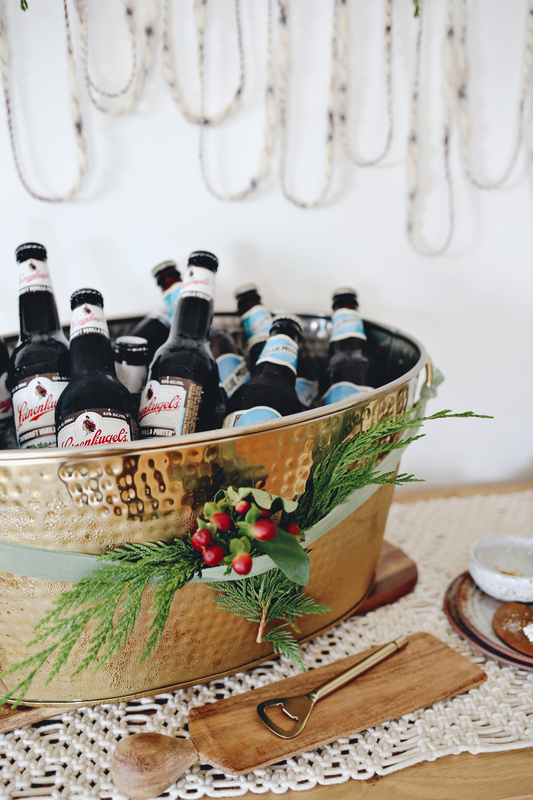 Try chilling the beer in a gorgeous hammered bucket filled with ice that’s been dressed up with velvet ribbon and fresh pine. A macrame runner and dots of fresh evergreen sprigs set the station in style, creating a modern boho take on traditional holiday decor. For the perfect pairing, we suggest trying out two amazing seasonal beers with your cookie creations. Like Leinenkugel’s Snowdrift Vanilla Porter, the malt flavors of caramel and chocolate add decadent complexity to the buttery and sweet sugar cookies! 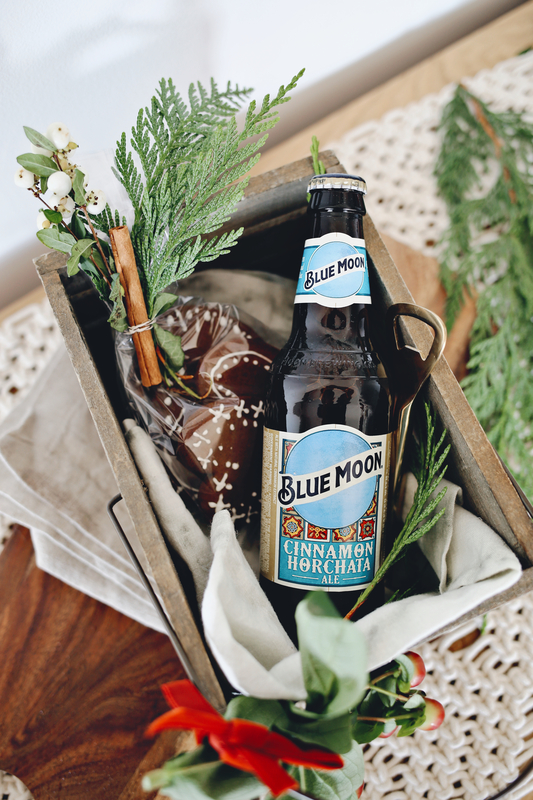 Also serve up Blue Moon Cinnamon Horchata with its woodsy and aromatic fresh cinnamon flavors which complement the gingerbread cookie and accentuate all of its spices. Who knew that you could have your beer...and cookies together!?! It’s delicious and it will be a fun surprise hit with all your guests. 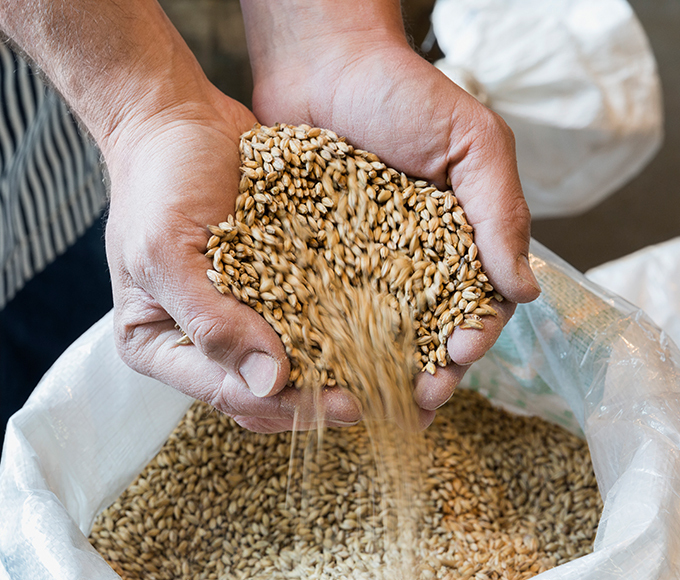 Check out our Delicious Guide to Pairing Cookies and Beer. At the end of the party, friends will be able to take the pairing home as a gift or to share with a friend. A small wooden crate lined with a linen napkin allow the joy of the day’s activities to go home with style and ease. We suggest wrapping up decorated treats in a cellophane bag tied with twine and a festive touch of pine sprigs and cinnamon sticks. 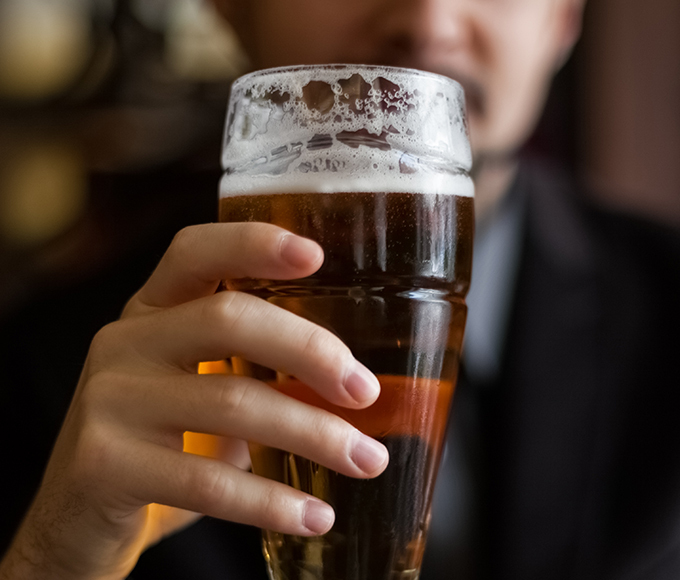 Don’t forget to tuck in a paired beverage or two so they can relive this delicious afternoon again back home.